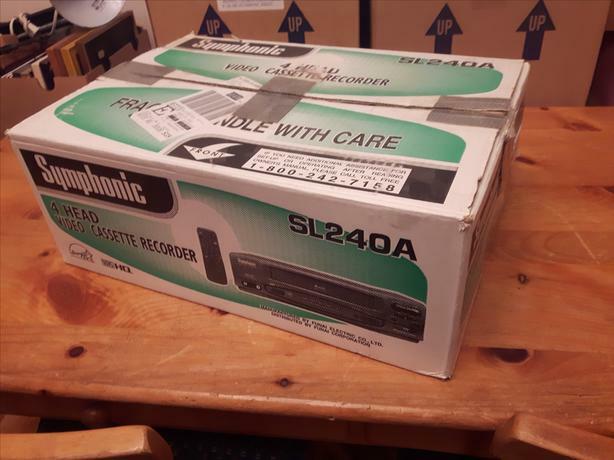 This is a Symphonic SL240A VHS high quality video cassette recorder, little used and in good condition. Comes with handset and owner's manual. Cost $73.50, for sale at $49.00.